Aviation High School, Clayfield, is hosting an Aerospace Experience Day from 10am-2pm on Saturday, featuring — among displays of the latest technology and rocket launches — companies including Qantas, Virgin Australia, Boeing, CASA, CSIRO, Gilmour Space Technologies, Airservices Australia, Black Sky Aerospace, UAV Training Australia, Defence Recruiting, UQ, Insitu Pacific, and the Australian Airforce Cadets. “There will be aviation industry stalls, rocket making and launching, DJI drone landing competitions with great prizes, Airworks helicopters landing on the oval and awesome flightsims to play on,” a school spokesman said. “The highlight of the afternoon will be a special forum with prominent aerospace industry speakers, who will tell of their visions for the future of aerospace in Queensland. Speakers will include Professor Richard Morgan (UQ Centre for Hypersonics), Dr Kimberley Clayfield (CSIRO Astronomy and Space Science), Andrew Donald (Insitu Pacific) and Mark Lewis (CASA). 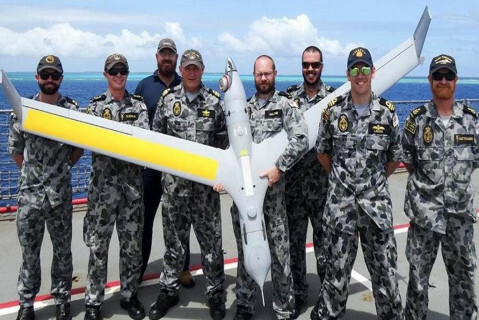 “The public will have the chance to see up close Boeing Insitu Pacific’s ScanEagle, a large, long-endurance, low-altitude unmanned aerial vehicle (UAV) used for reconnaissance.